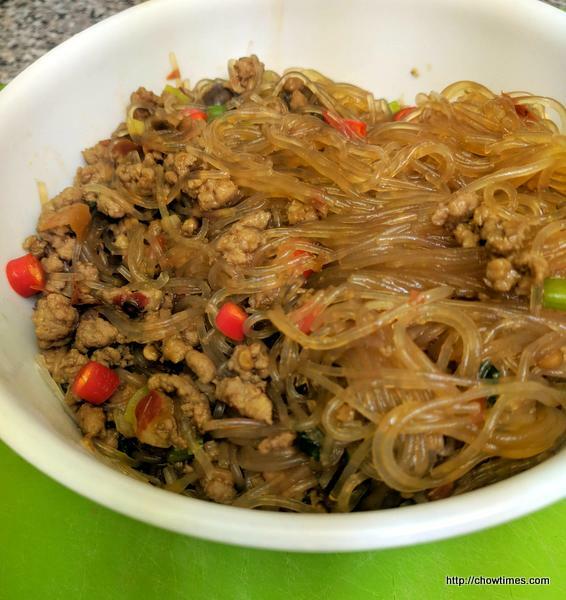 I love this dish called Ants Climbing Tree. 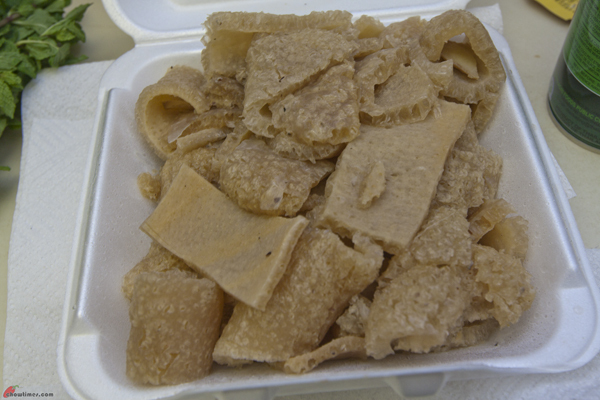 So, Ben made it for me one day. 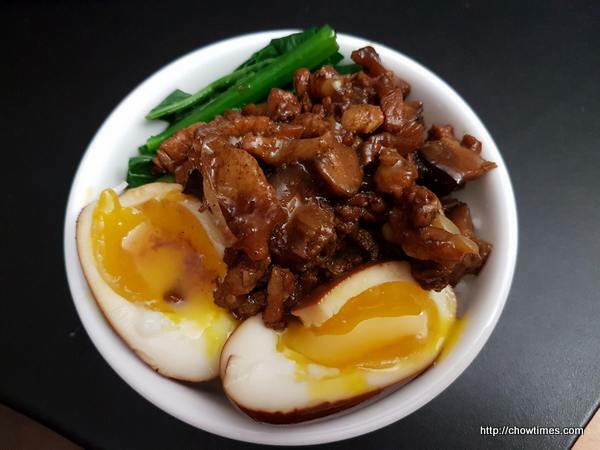 This is another home cooked comfort dish. 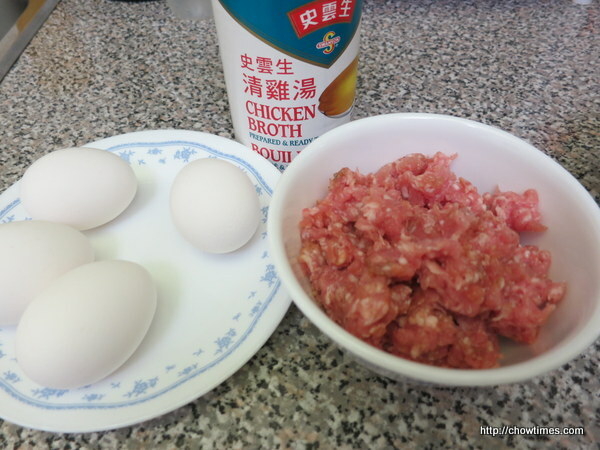 The above Steamed Egg with Minced Pork has a softer texture than just steamed minced pork. 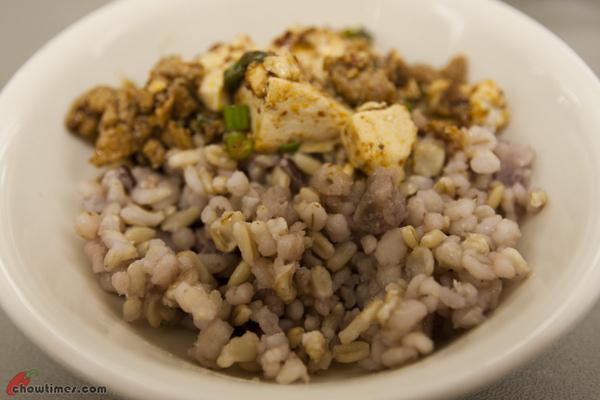 Ian Lai made a simplified Mah Poh Tofu to be served with some multigrain rice during the Healthy Eating and Fun Cooking demonstration. 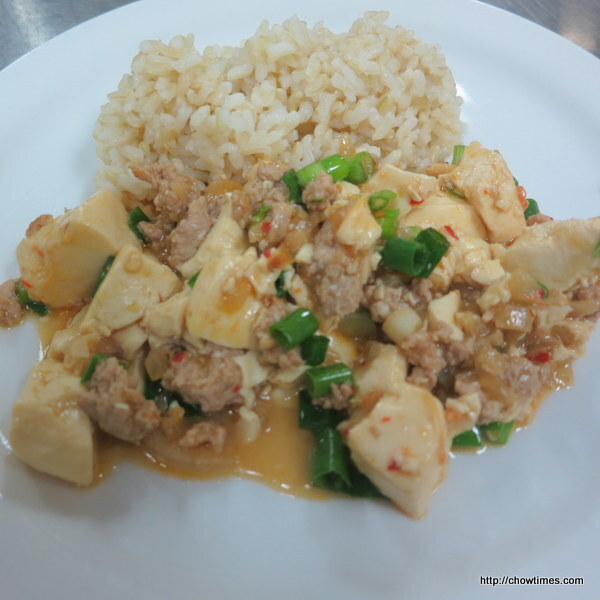 Mah Poh Tofu is a popular Szechuan dish. 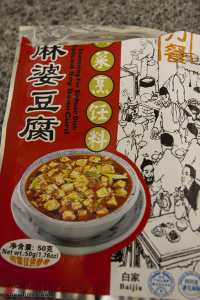 The name came from the old lady with pocked marked who sell this dish along the street. 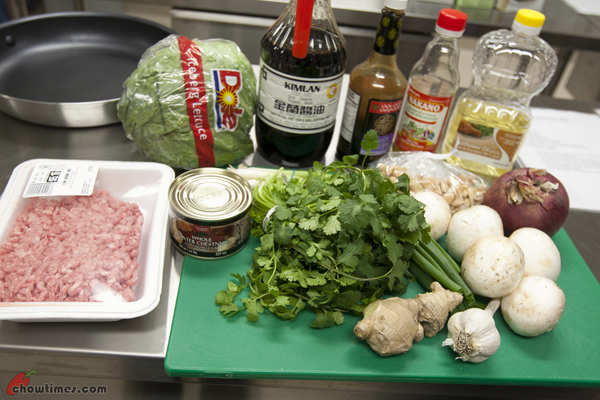 For the main dish, Michelle prepared a Pork Lettuce Wrap for the Chinese New Year celebration at the South Arm Cooking Club for Seniors. 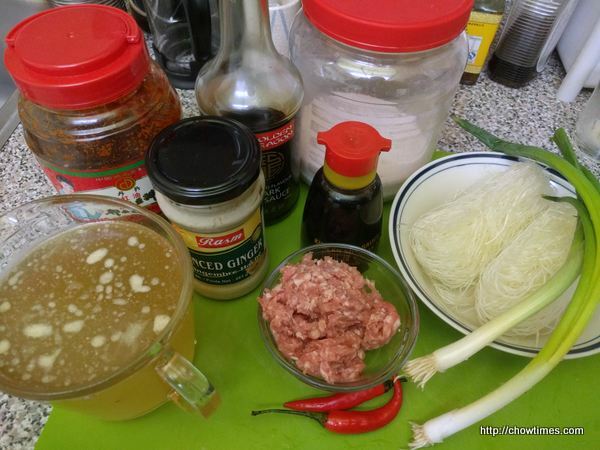 You can use ground turkey or chicken for this recipe. 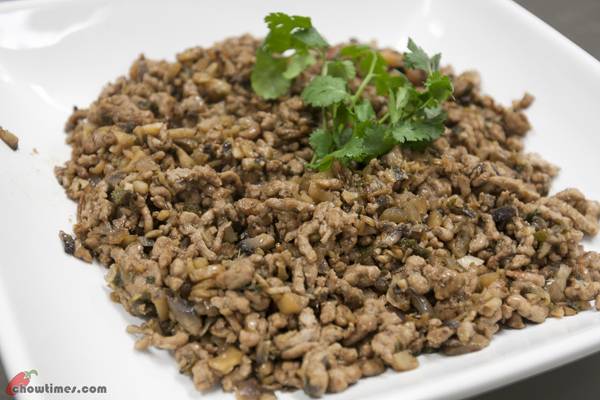 Michelle served the meat mixture, lettuce cups, cashew and cilantro separately. 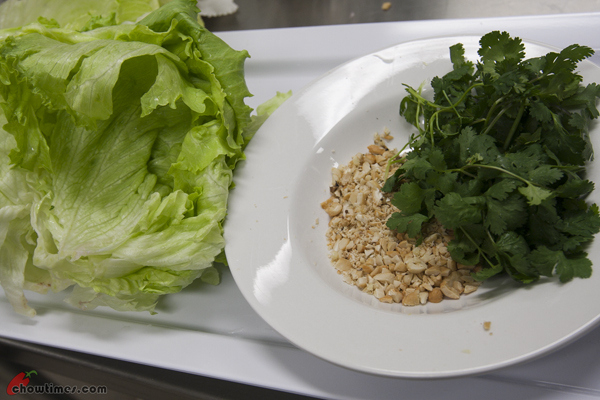 The diners will help themselves with the assembly of the lettuce wrap by spooning the meat and vegetable mixture into the lettuce cup and garnish with cilantro and chopped cashews if desired. 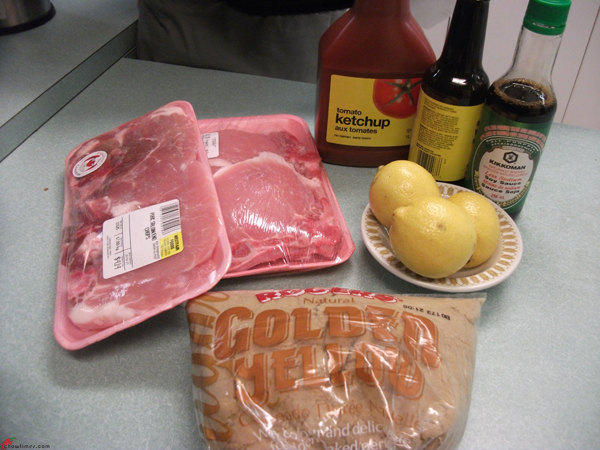 For the main course, Marian prepared a Marinated Baked Pork Chops for the seniors. 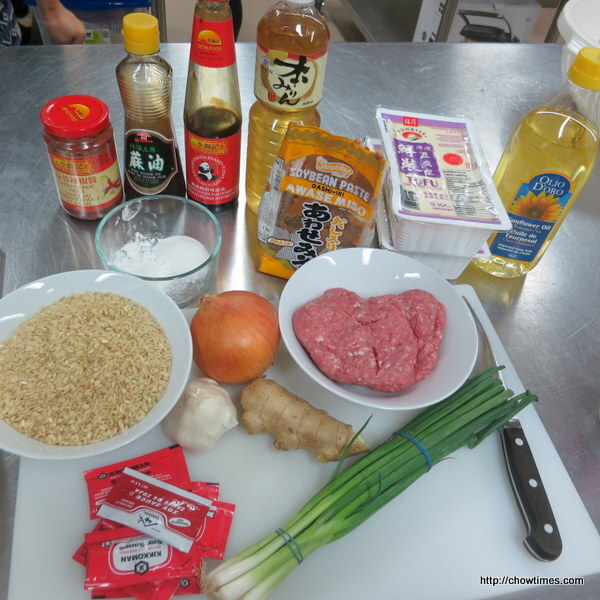 It is tricky to make a tender pork chop as it usually ends up tough and dry. 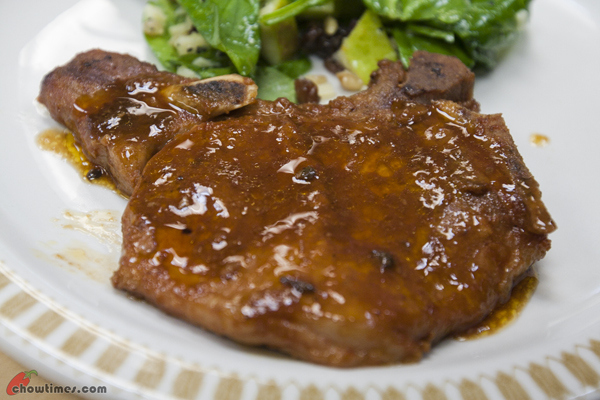 This Marinated Baked Pork Chops are moist and quite tender as there is no complain from the seniors. 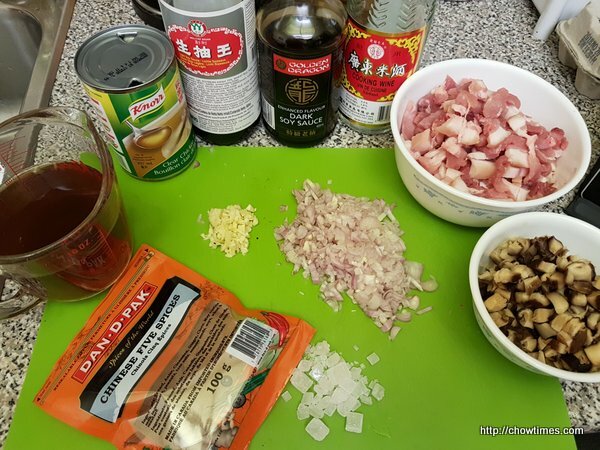 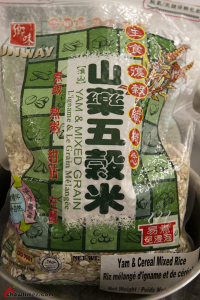 In the Caring Place Community Kitchen, Joanna shared some very homey Chinese dishes. 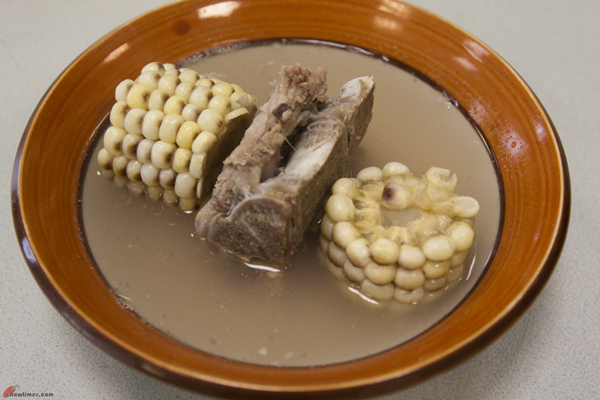 The first recipe is a simple Pork Neck Bone with Corn Soup. 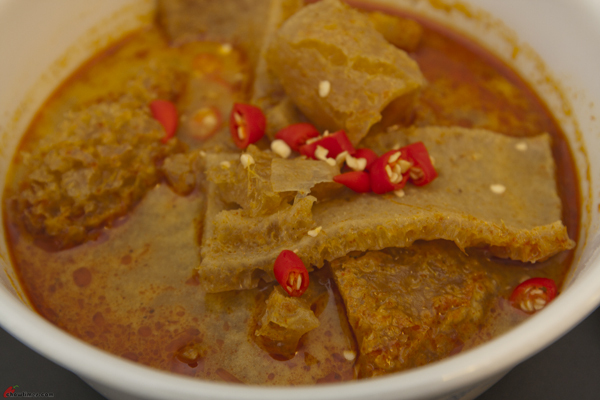 You may use pork rib to make this soup for a meatier cut of meat. 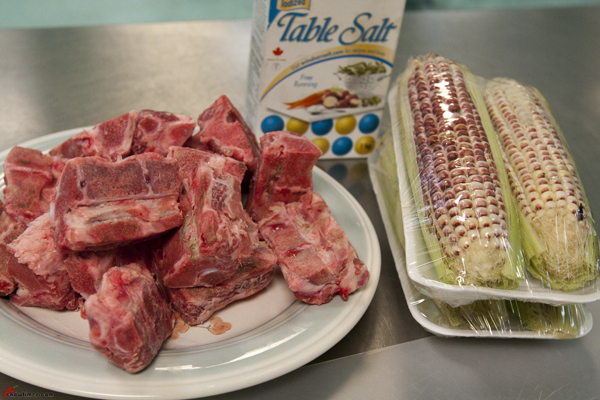 Pork neck bone is very cheap, 99 cents per pound.